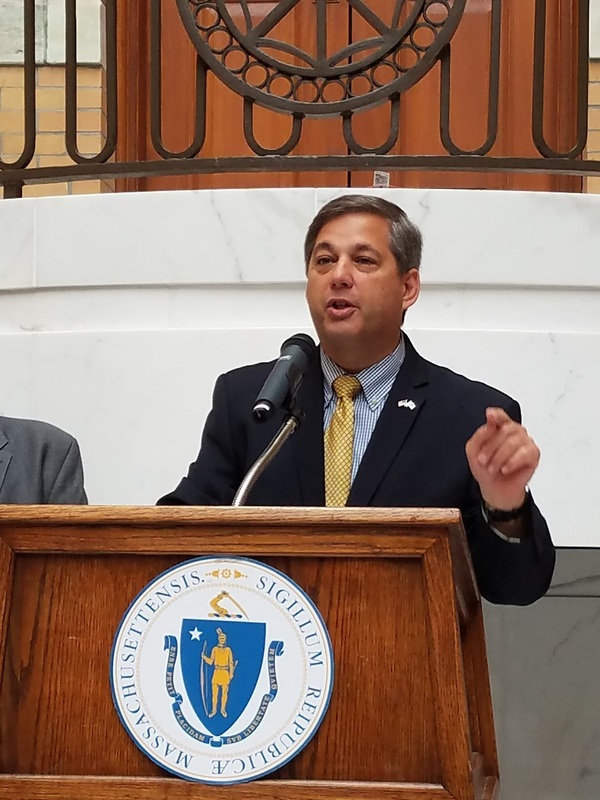 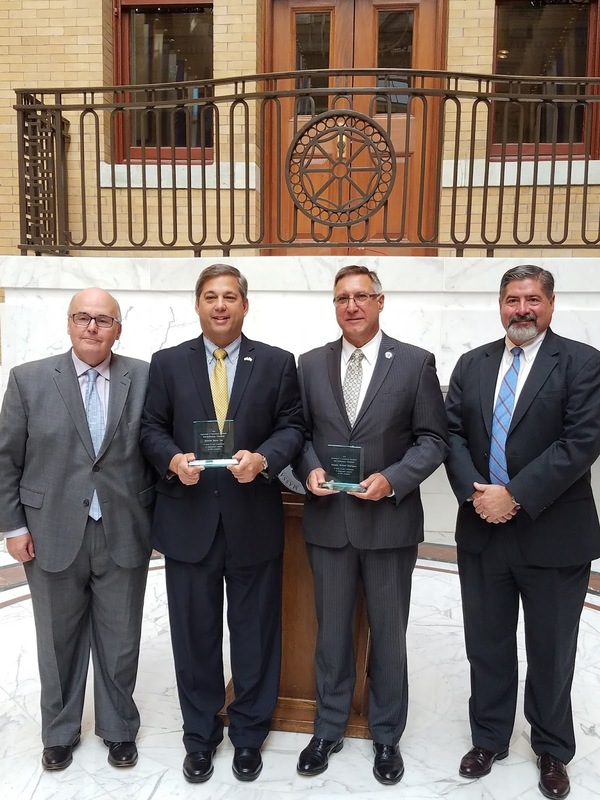 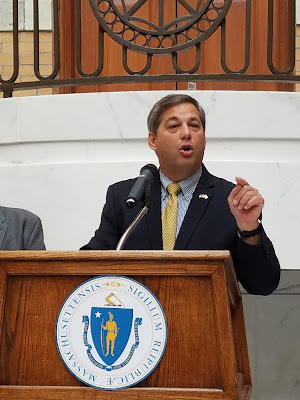 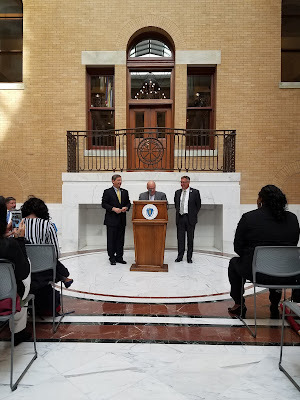 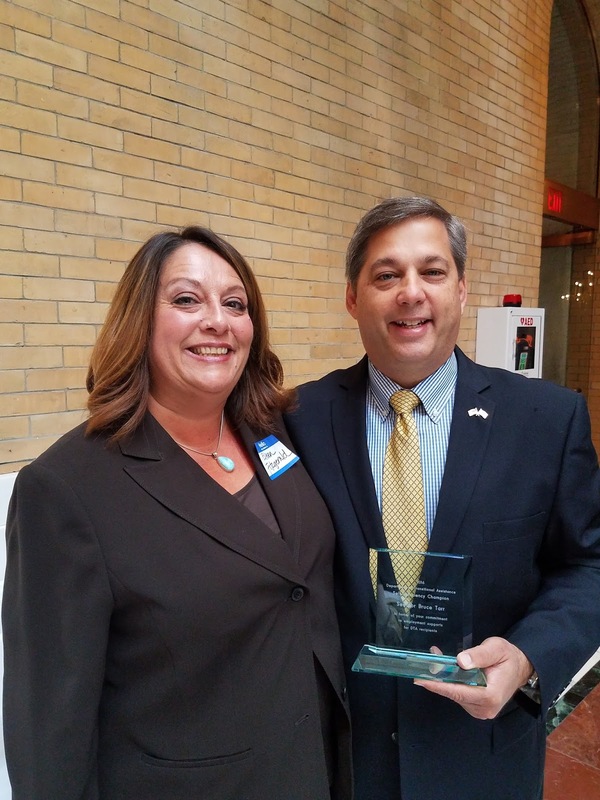 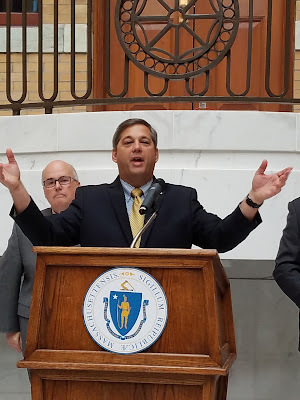 Boston - State Senate Minority Leader Bruce Tarr (R-Gloucester) was recognized by the state’s Department of Transitional Assistance (DTA) at a State House ceremony recently in recognition of his long-standing work to support efforts to help clients acquire skills and training to retain or obtain employment. DTA Commissioner Jeff McCue, flanked by the department’s top staff, presented Tarr with the Champions of Self-Sufficiency award as part of a ceremony which also honored the achievements of several clients who gained self-sufficiency, municipal governments, businesses, and non-profit charities in supporting individuals and families in need. Currently, DTA serves one out of every nine people in the state in an effort to assist low-income people to meet their basic needs and build life skills to increase earning potential to expand economic self-sufficiency.